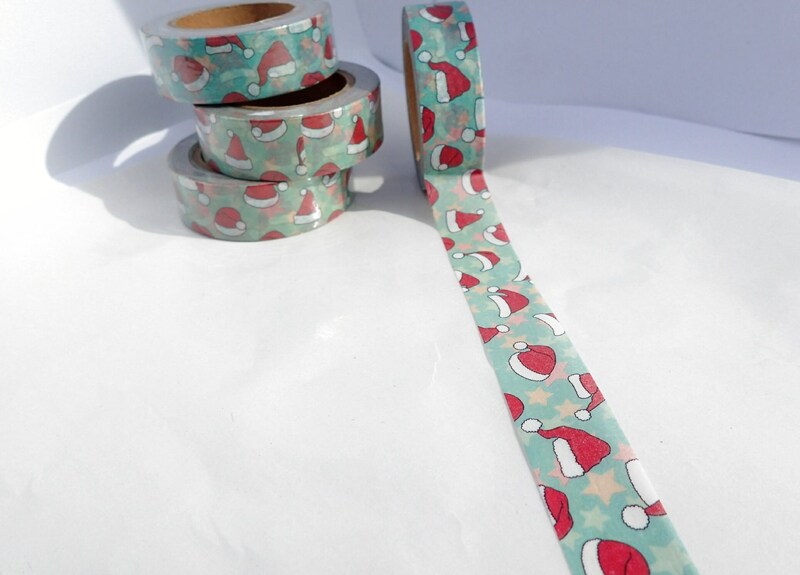 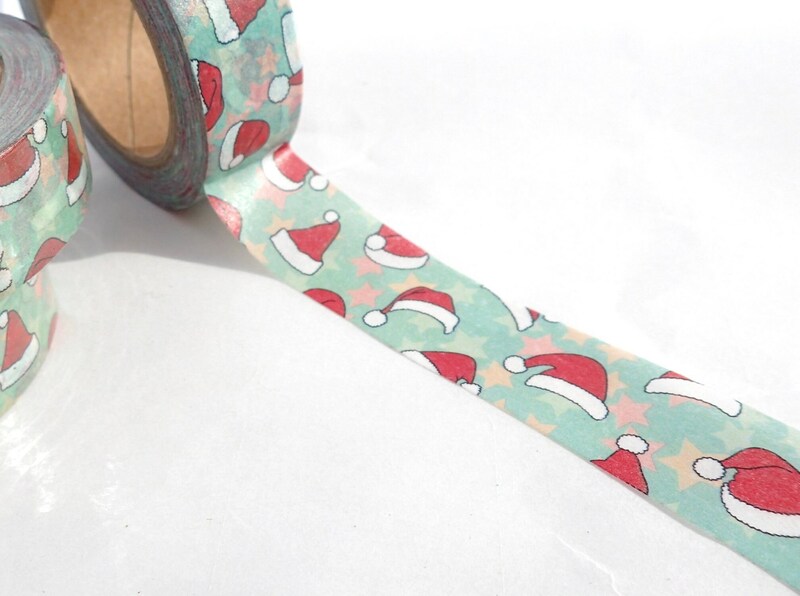 This washi tape features Santa's hat. 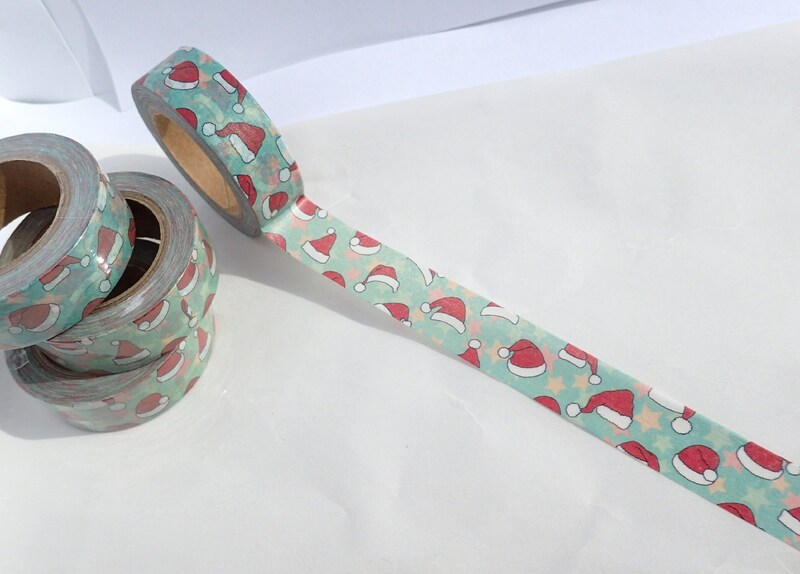 I think this tape would be perfect to decorate Secret Santa gifts! 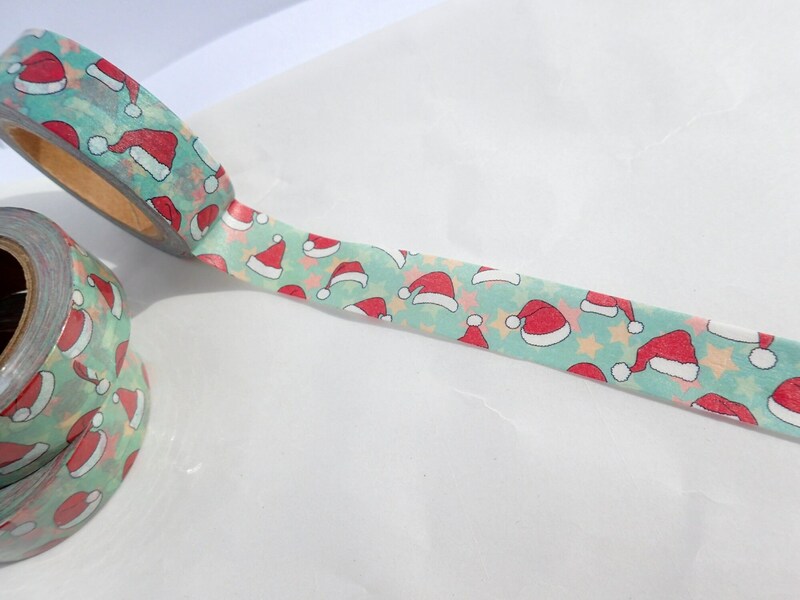 The hats are on a soft green background with soft stars. 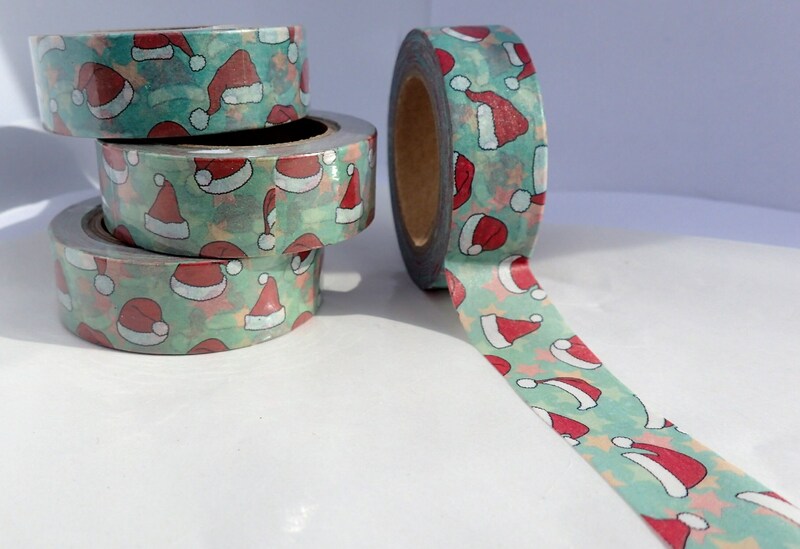 Very festive without being too bright.